Since our anniversary fell on a Monday, we decided to celebrate a day early. On Sunday morning, we started the festivities with breakfast with my parents. 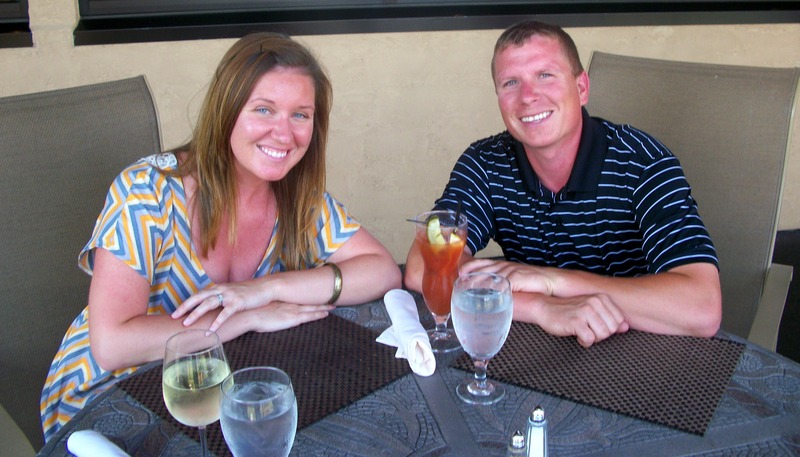 They were so sweet to put an anniversary wish to us in the local paper, complete with a photo from our wedding day. I got so many texts & Facebook messages from people who saw it! Thanks Mom & Dad! For our anniversary dinner, we decided to revisit the location of our rehearsal dinner, exactly one year later. 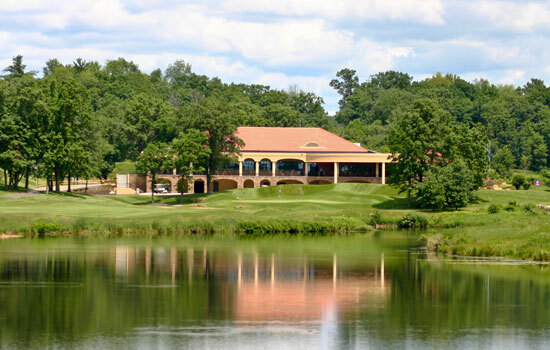 Trapper’s Turn is a gorgeous golf club located in Wisconsin Dells. It was actually our first choice for our wedding venue but it wasn’t big enough to accommodate our 300+ person guest list. 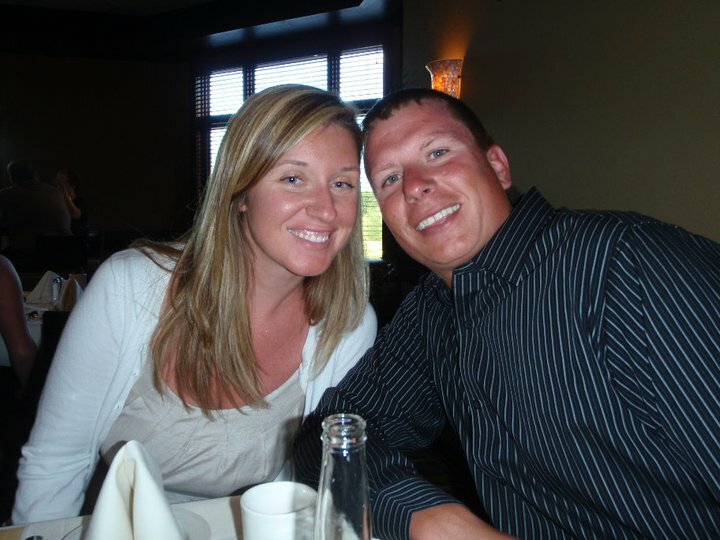 We knew we wanted to do something there, so rehearsal dinner it was. As luck would have it, the addition of a private room for events was completed just before our wedding so we were some of the first people to have an event in the new North Room. 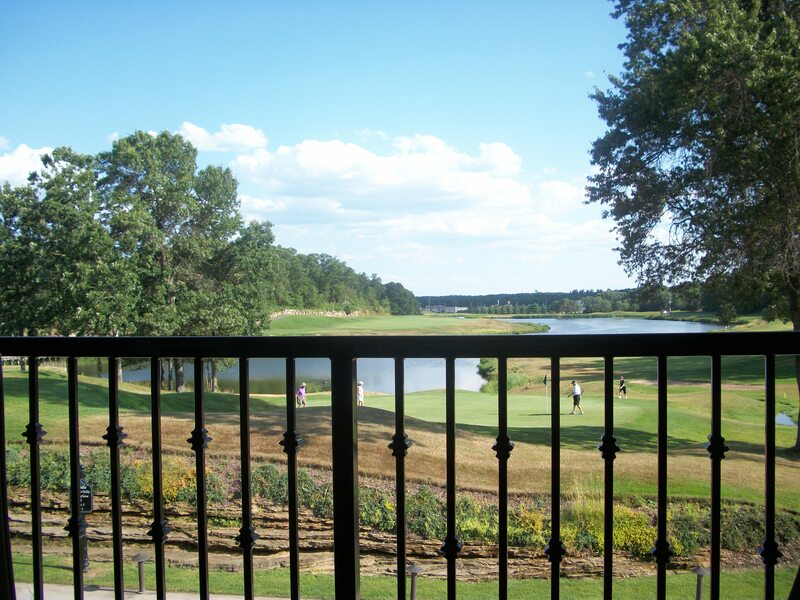 Though the North Room wasn’t an option for our anniversary dinner, we were more than happy to sit outdoors on the veranda, overlooking the beautiful golf course. After a long heat wave, the weather was finally just perfect for sitting outside. We were in the shade & there was a slight breeze that made it ultra relaxing. 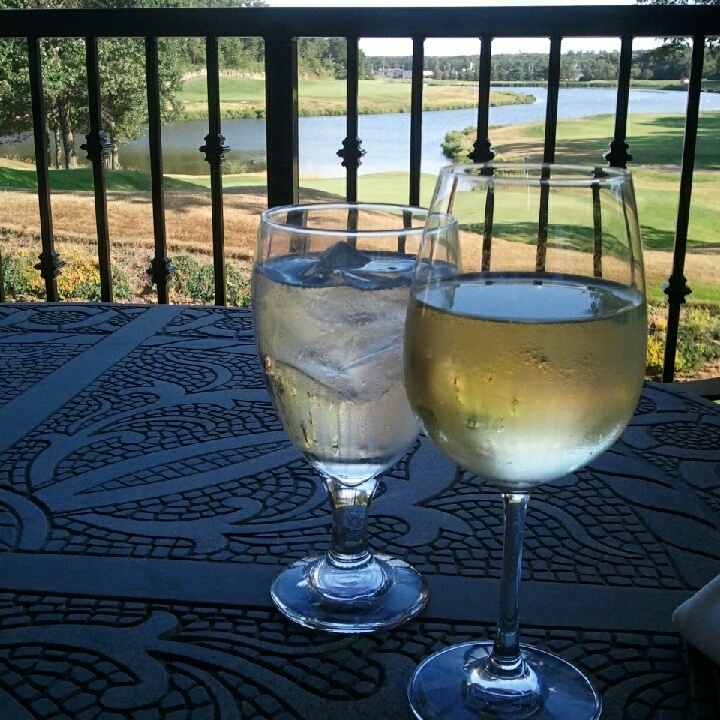 We had the whole veranda to ourselves until towards the end of our dinner. It was like our own little private dining experience! I started with a glass of local Prairie Fume. Hubby went with a Bloody Mary. 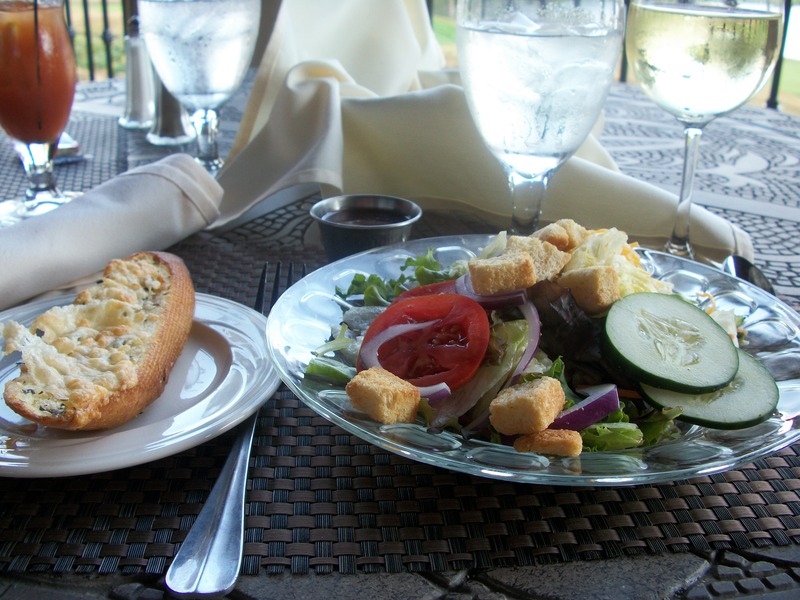 Our server brought out garlic cheese bread + a salad for me & soup for the hubster. 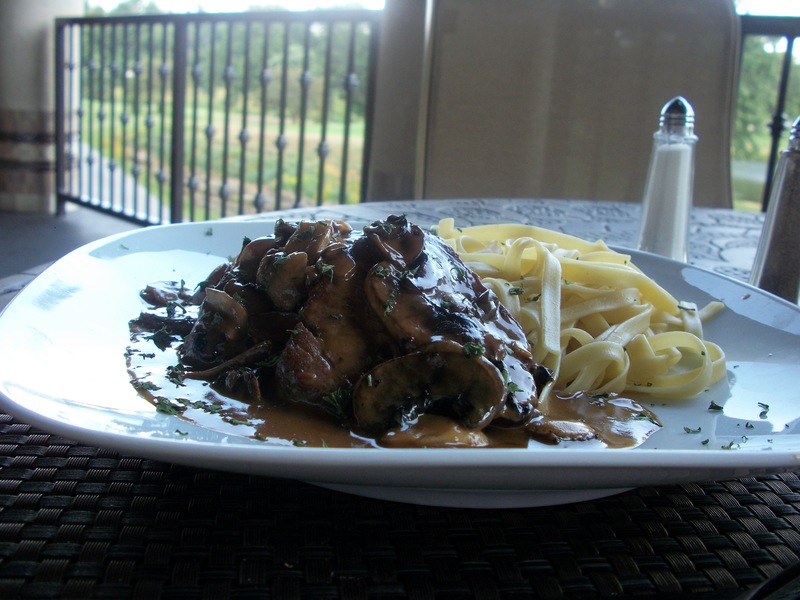 Justin went with Beef Tenderloin Medallions served Stroganoff style for his meal. He didn’t love it at first, but said that it grew on him after awhile. I tried a bite & it was okay, but it certainly wasn’t anything special. Pretty straightforward. My meal, however, was DE-LI-CIOUS. 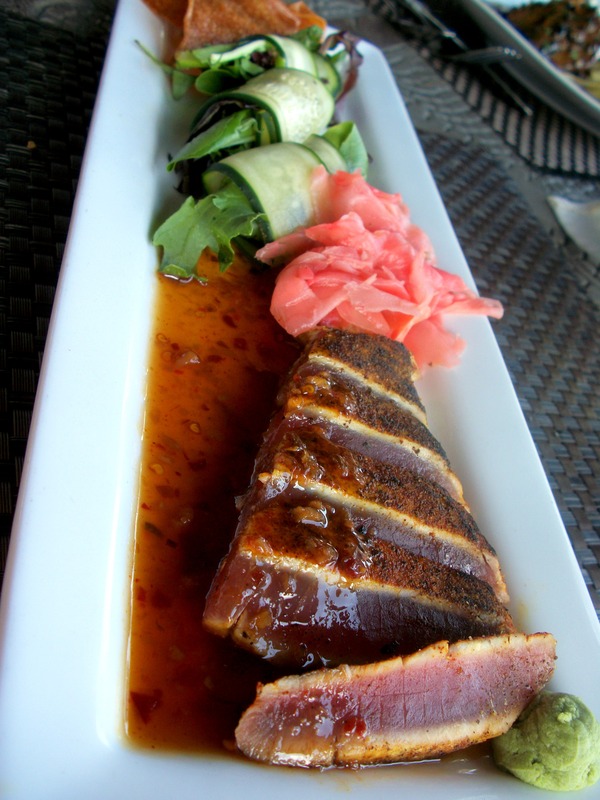 The Fresh Ahi Miso was actually on the appetizer menu but the other tuna dishes on the menu all involved Thai & sesame flavors when I really wanted wasabi & ginger. Did you SEE all of that ginger!? I ate every. last. bite. At one point I did consider throwing in the towel but in the end I ate everything on my plate, save for some of the wasabi, which I can only handle in small doses. We were both full after our meals & I figured we’d probably stop for ice cream somewhere closer to home. But we didn’t have to, because before we could ask for our check, this was brought to our table! 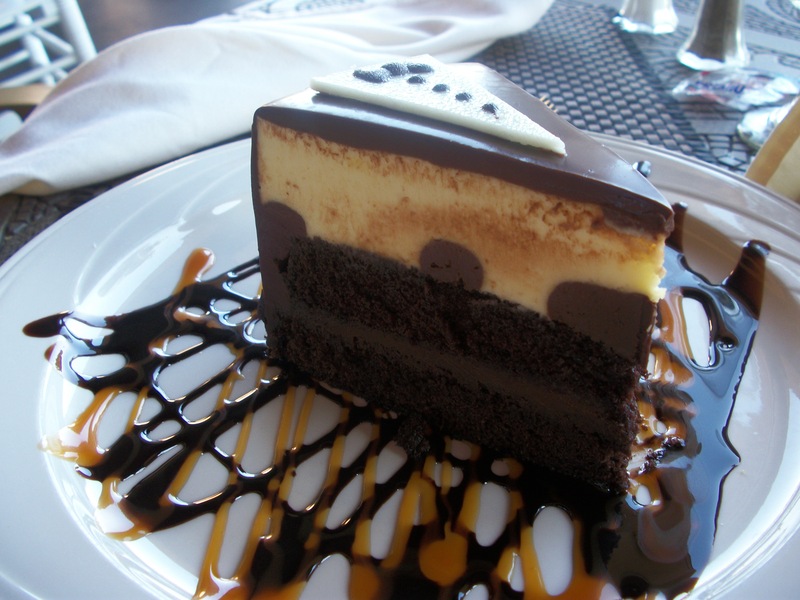 The complimentary Tuxedo Cake was super yummy. We ate & ate until we could eat no more, loosening our belts before we even got up from the table. It was a great dinner, a beautiful night & a fantastic way to celebrate our first year of marriage. Of course we couldn’t let our actual anniversary go unnoticed, so last night we had a super low-key night at home, including grilling out for dinner. I may have mentioned this before, but last fall we purchased 1/4 beef, processed into steaks, roasts & ground beef. 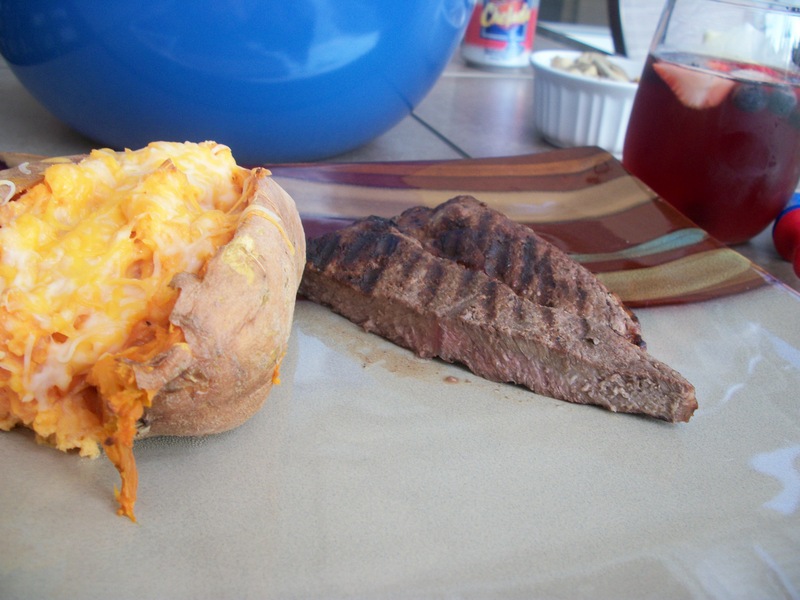 Rather than spending a bunch of extra money, we just grilled one of the sirloins we had in the freezer. I’m not a super huge fan of this beef. I guess I just prefer fresh to frozen. But I ate a bit anyway. 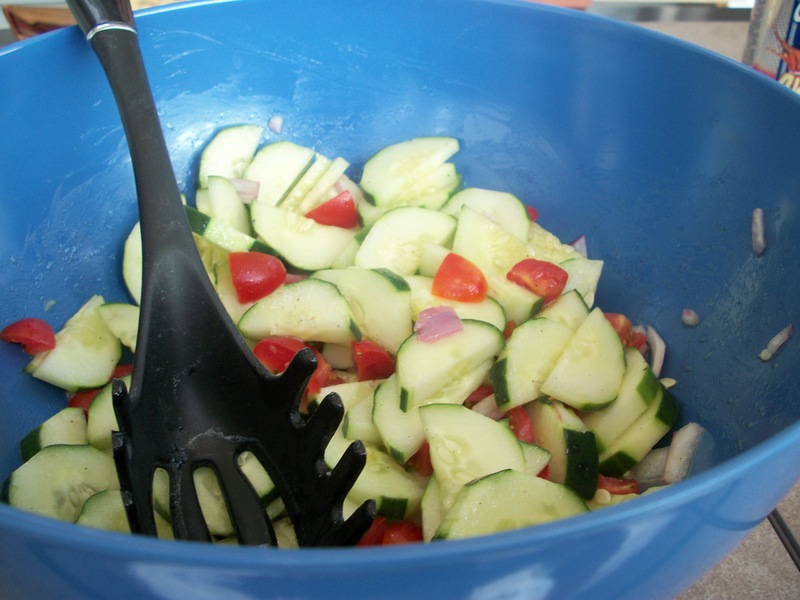 In keeping with the “use what we have” theme, I threw together a cucumber & tomato salad to use up some veggies that were on their last leg. We also had sweet corn & potatoes. Twice-baked (with Greek yogurt!) sweet potato for me. My portion of the steak was a bit overcooked for my liking. Regular for him. 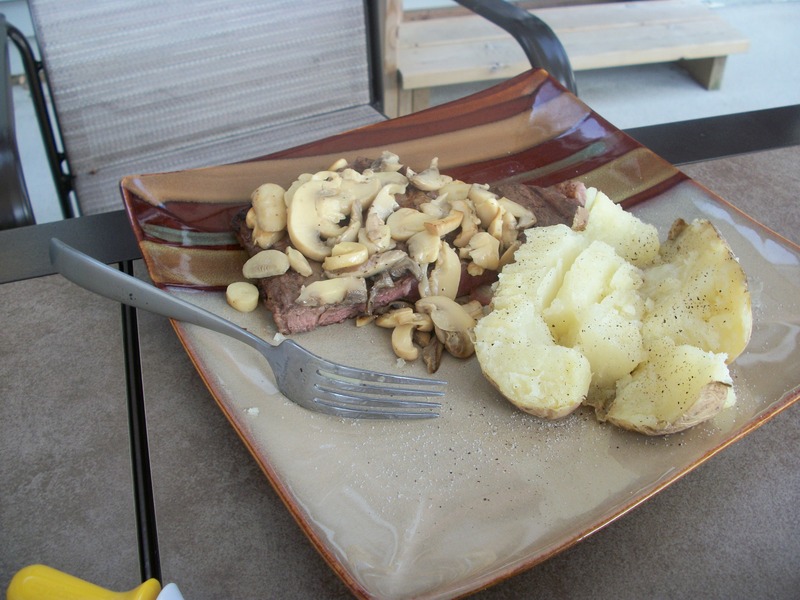 Though not in my photo above, I did add sauteed mushrooms to my steak too & it really helped me get over that “frozen” flavor that I’m sure is just in my head. 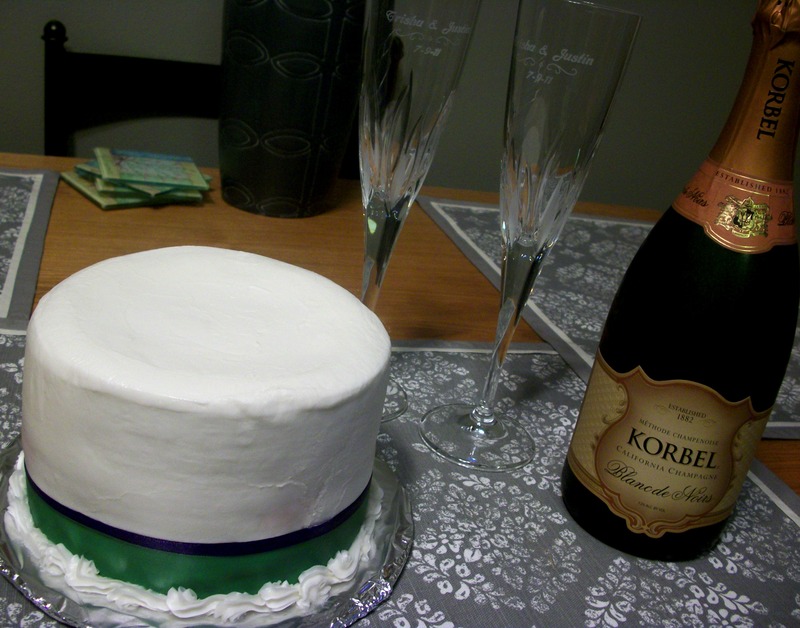 It wouldn’t be a first anniversary without year-old cake & champagne, now would it?! I cut into the cake. I took a bite. It didn’t taste bad, but it just didn’t appeal to me. At all. Justin doesn’t eat leftovers that have been in the refrigerator for more than 2 days so he didn’t even go near it. 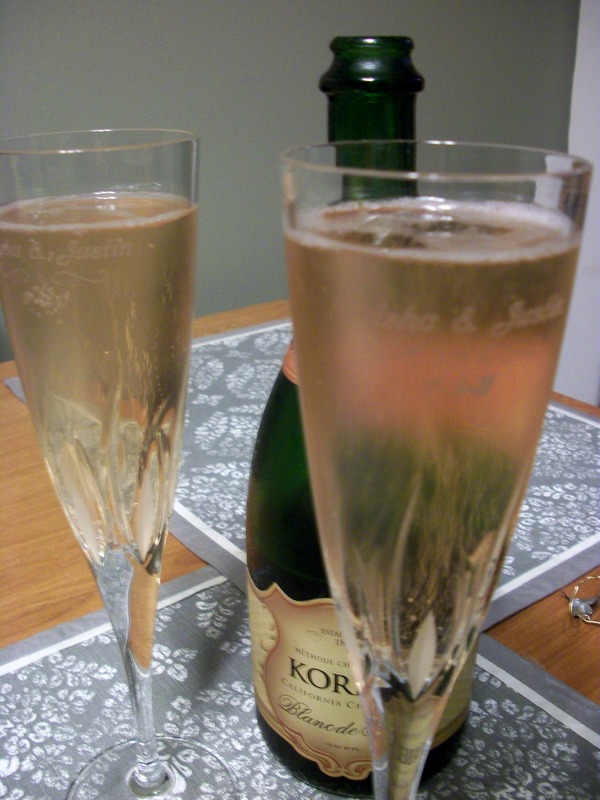 The champagne was a gift from our wedding venue but we were far too exhausted to consume it on our wedding night. We decided to keep it for our anniversary. Not my champagne of choice so I added a little pomegranate juice & choked down a glass. 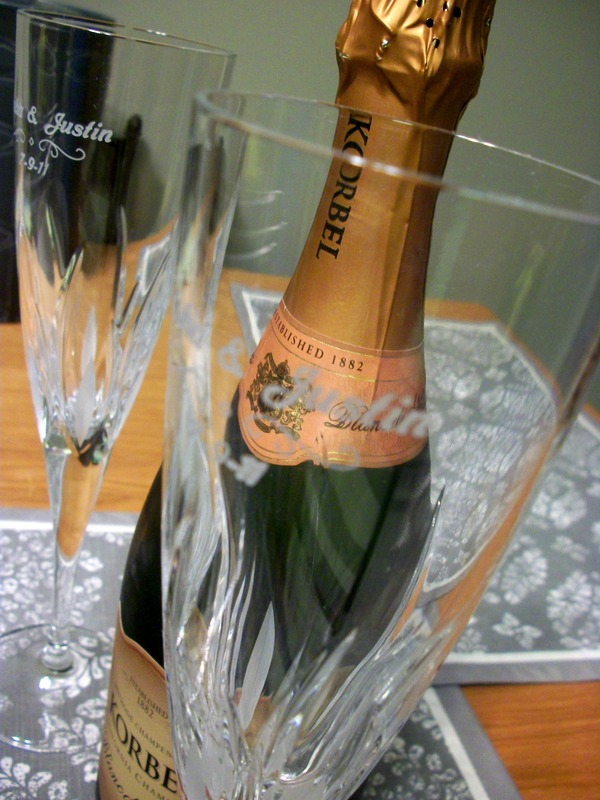 And of course we had to break out our wedding day champagne flutes (a gift from my maid of honor) to make it a real anniversary celebration. We attempted a self-photo of us sipping on the champagne but failed miserably. This was the best of the worst & you can’t even see the champagne! P.S. My husband doesn’t read the blog, therefore I am allowed to put this picture of him with his eyes half-closed on my blog if I want to. How do you celebrate relationship milestones? Our dating anniversary is Valentine’s Day, which is just so…cliche. We usually go out for dinner somewhere around that time but I kind of hate going out on Valentine’s Day. I am so grateful we have a new anniversary to celebrate! We considered a weekend away, but ultimately I’m glad we went the laid-back route. 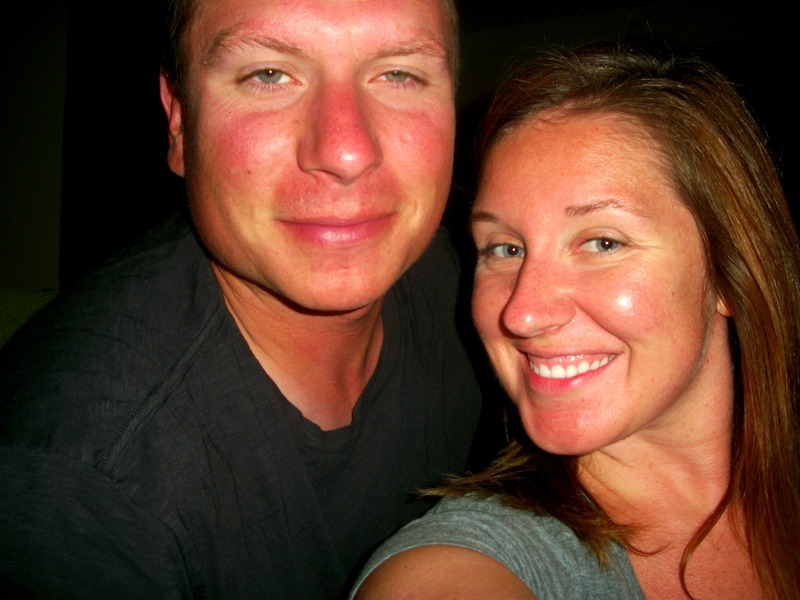 Now that we have a summer anniversary, I’m looking forward to future fun getaways to celebrate the big day! I’d love to share our story. 🙂 I’ll be in contact with you soon.